Built on proven technology since 1998, our specially designed equipment precisely cuts the panel profile into the surface. 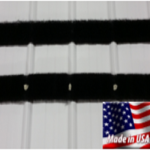 Working at optimum performance within varied roof pitches from 2:12 to 20:12, ProfileVent is custom cut to fit the individual panel profile. 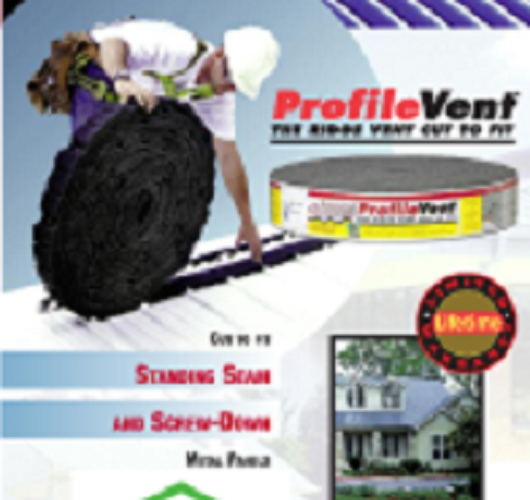 ProfileVent’s compatibility with a steep roof pitch makes it uniquely suitable for these applications, without sacrificing ventilation performance. 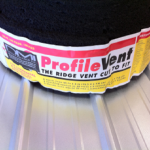 Maintain the ridge line appearance without the need to raise the ridge cap to accommodate the vent.